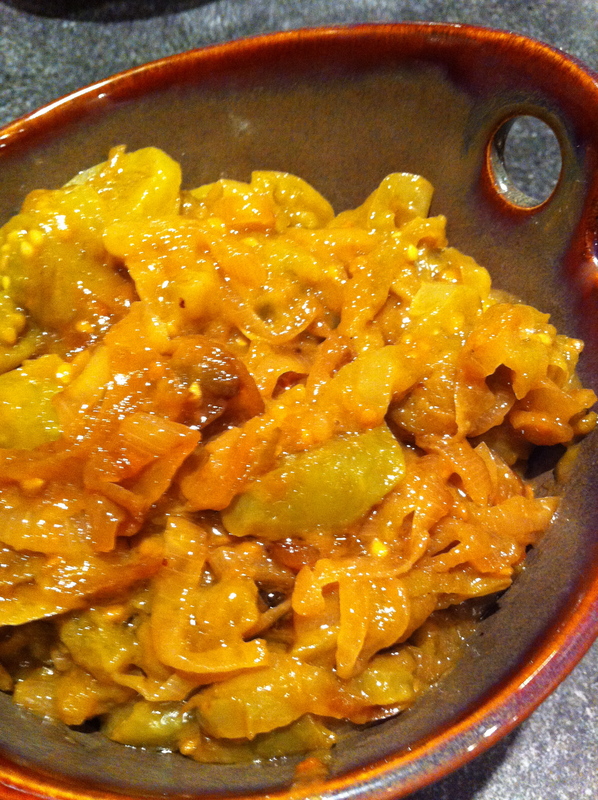 Several pints of green tomato salsa, relish and chutney later I decided I needed to make something that was edible now. 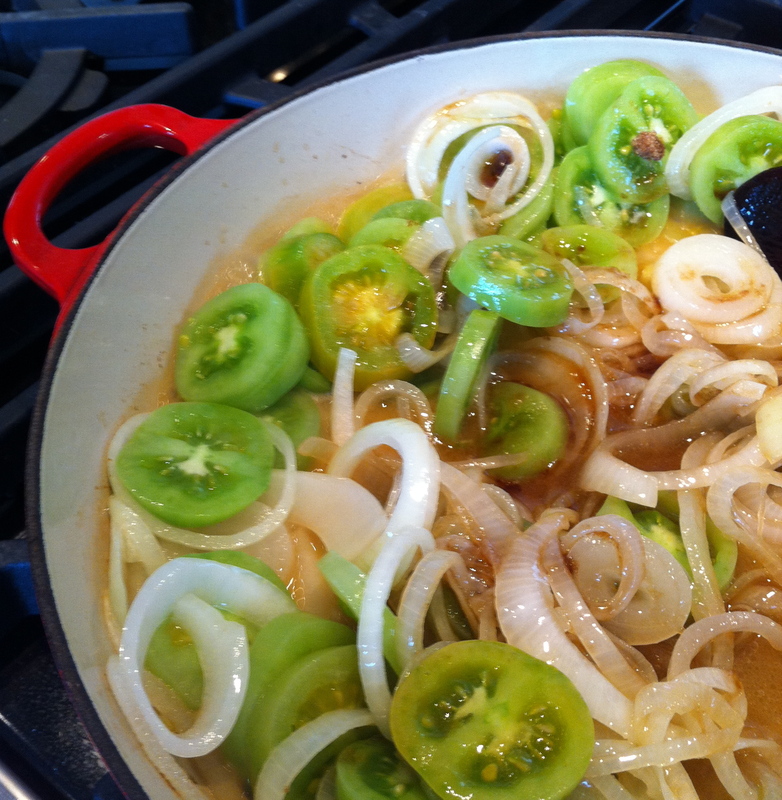 The answer was obvious (not fried) green tomatoes and onion. Easy beyond belief and a great addition to your dinner table. Melt butter/coconut oil in a large deep saute pan. Add remaining ingredients and cook at low heat until onion and tomatoes have gone soft. 20-30minutes. The dish tastes best hot, but if you plan ahead and make it the day before you want it, the flavours have time to meld and get even more rich and intense. 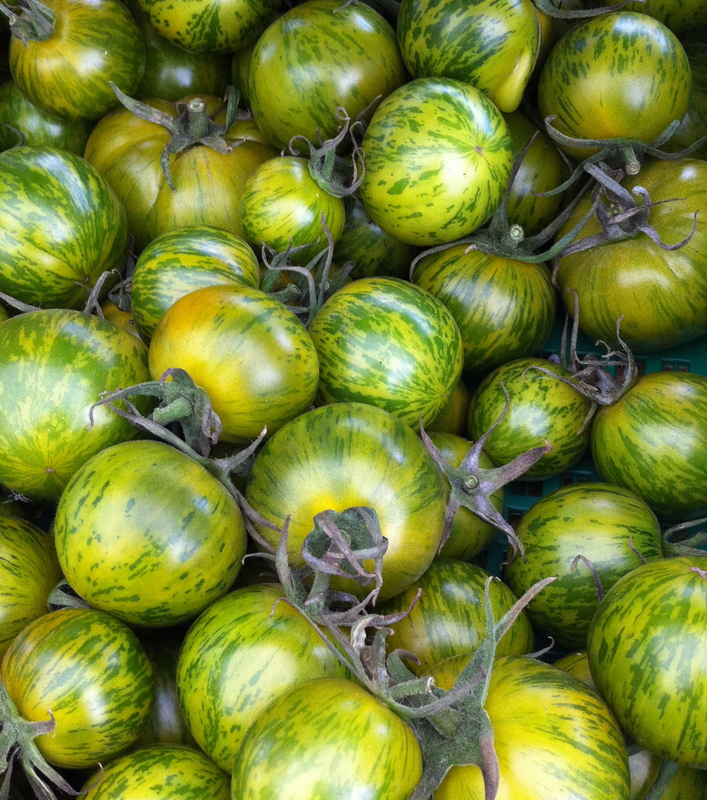 So, while summer may be over tomato season doesn’t have to be. 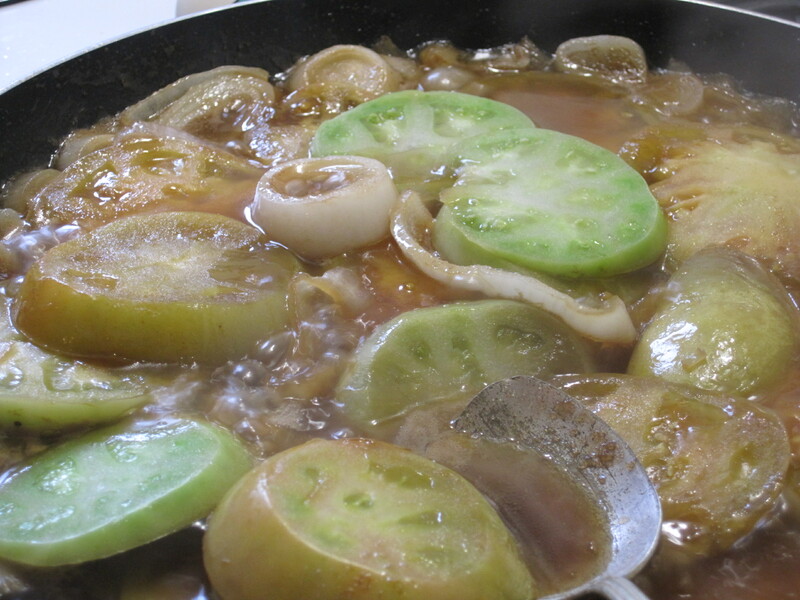 Wether for a weeknight dinner, with eggs for breakfast or as a little something different on your Thanksgiving day table (not fried) green tomatoes are a simple, old school way of using the last of summers bounty. And again, special thanks to my mom who first taught me this recipe! This entry was posted in Cooking, Food, Fruit, Recipe, Vegetables, Vegetarian and tagged apple cider vinegar, brown sugar, onion, the, tomato, vinegar by mostlynoodles. Bookmark the permalink. yum! 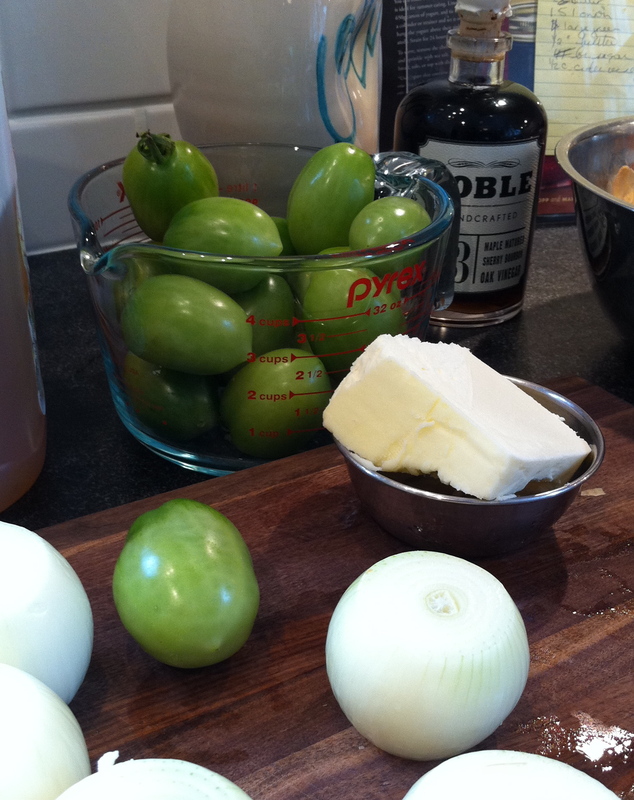 I love green tomatoes! I never could get over all those onions! Any suggestions for an alternative?? Other than the obvious, don’t put so many in, I’m not sure. I’ll try some with leeks and other such vegetables later this week and let you know!